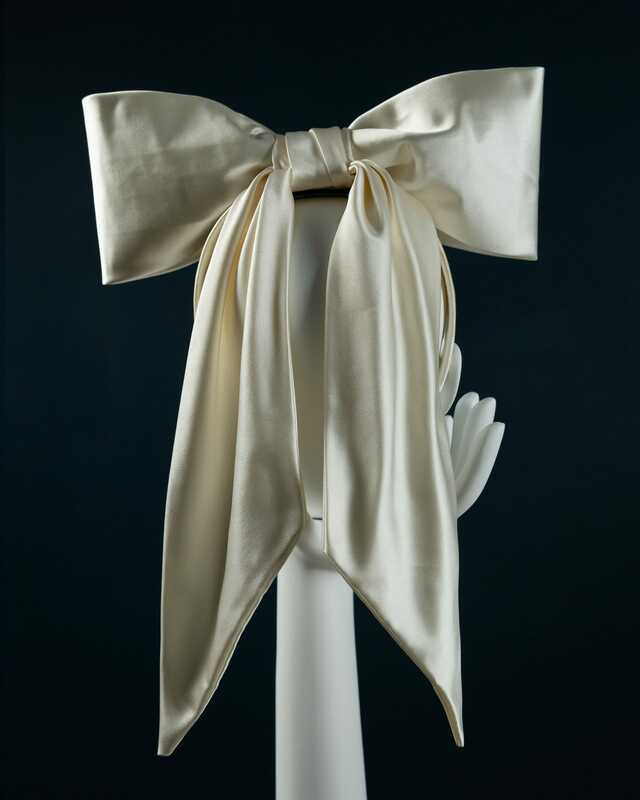 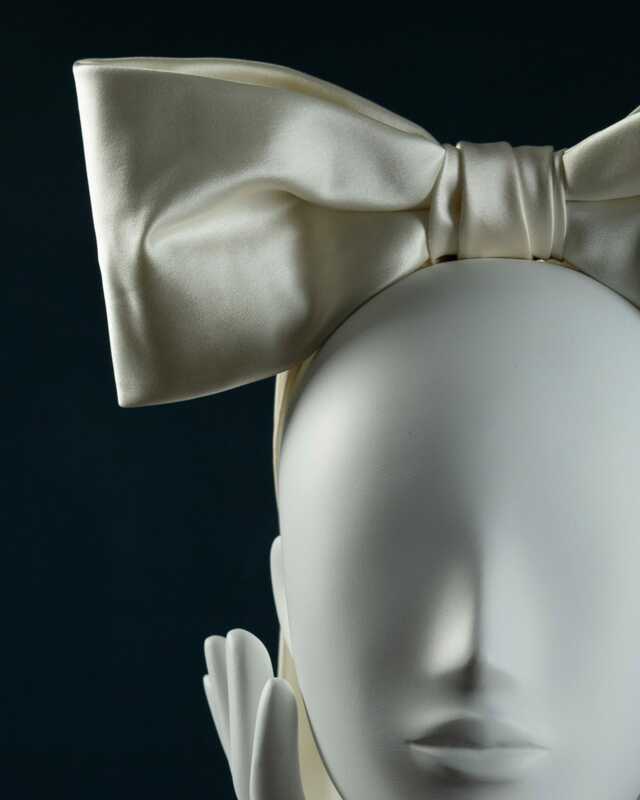 Duchess silk satin structured bow with long tails that drape elegantly down your back. 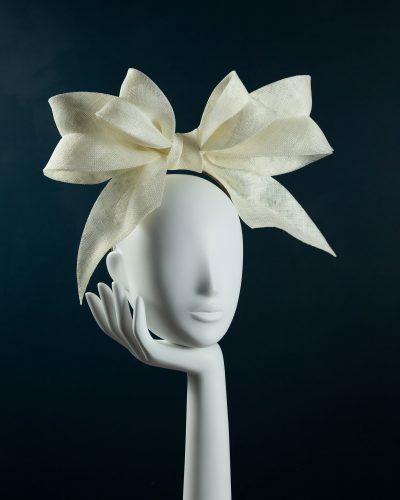 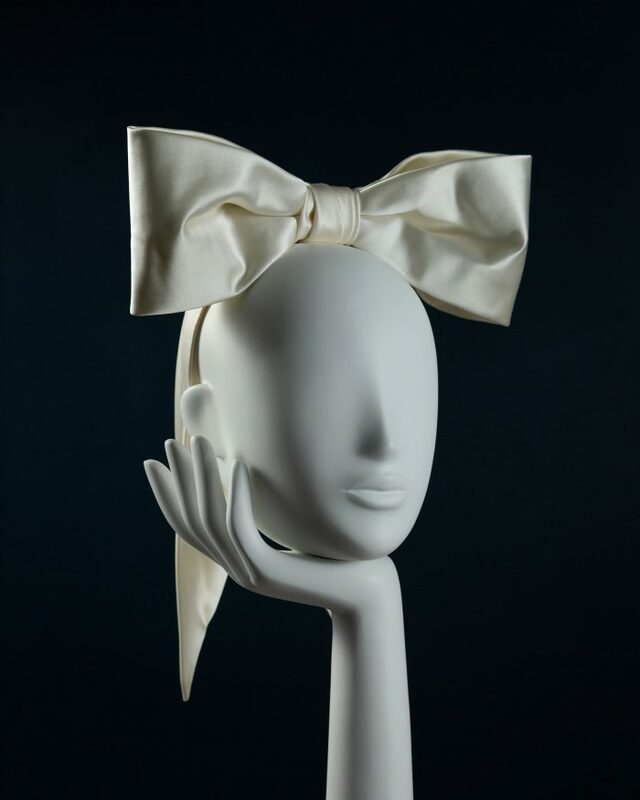 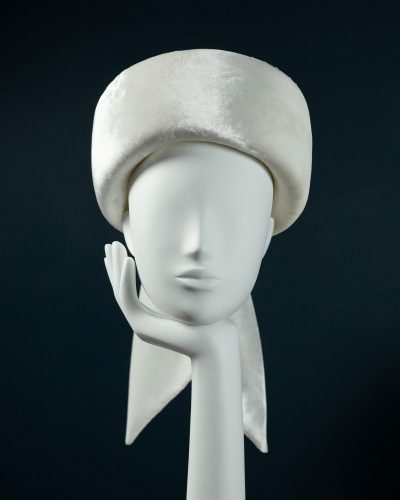 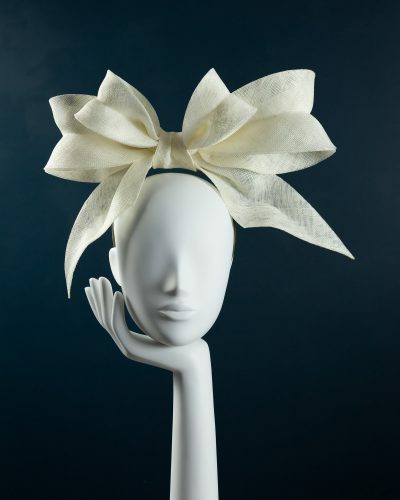 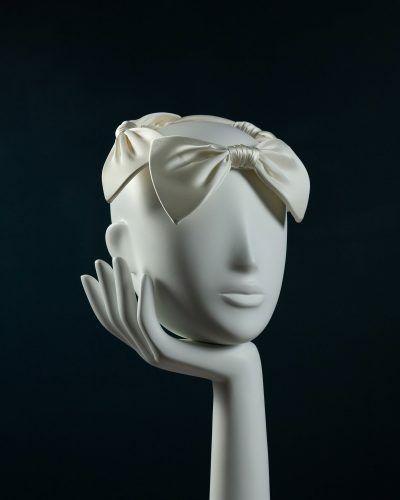 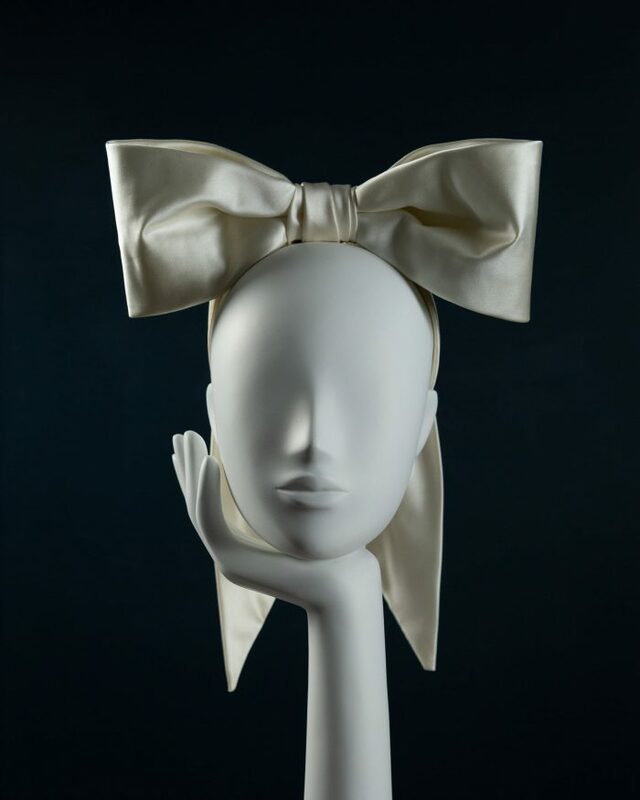 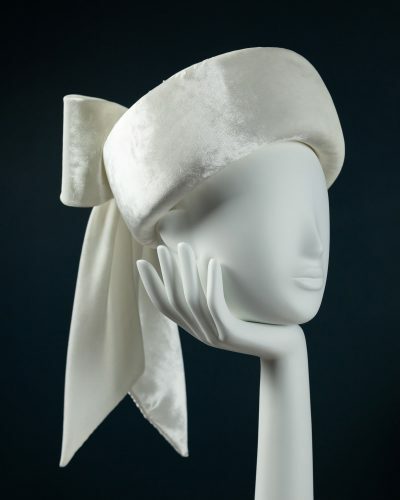 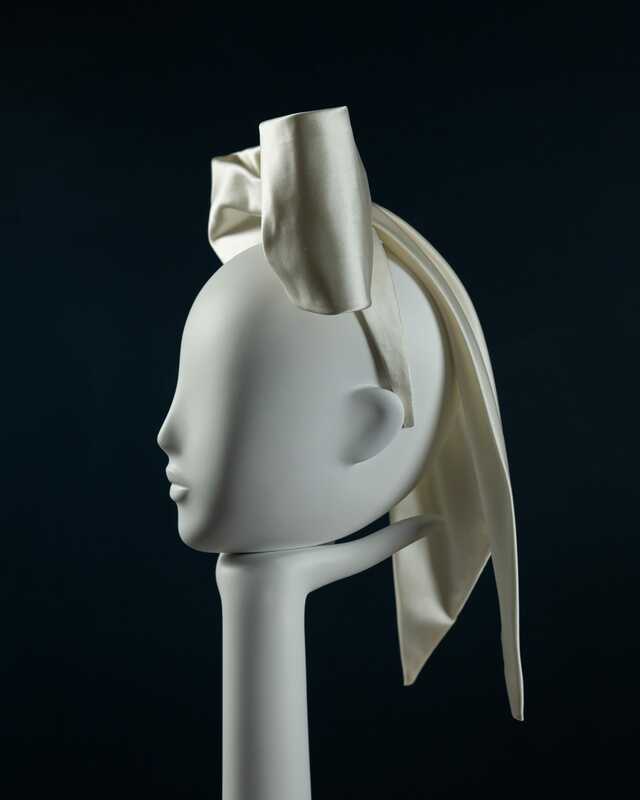 This style is secured to the head with a wide duchess silk satin headband. 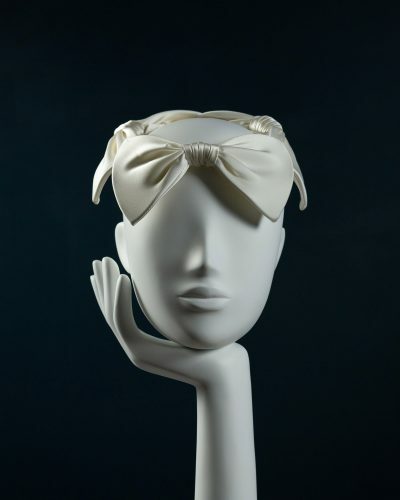 Seen here in ivory. 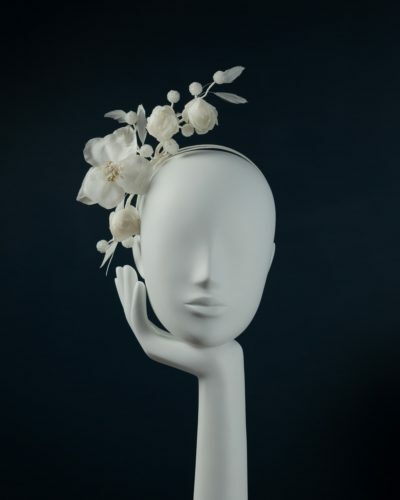 For a bespoke version, please contact us directly to discuss.